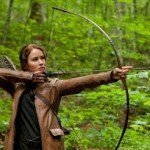 The Christian Research Journal has an article in the current issue (35/02) suggesting believers discuss The Hunger Games with nonChristian friends. I’ve had a chance now to read Catching Fire and Mockingjay, books 2 and 3 in Suzanne Collins’ Hunger Games trilogy. There are questions you could ask your children, to help them consider the works from a Christian point of view.